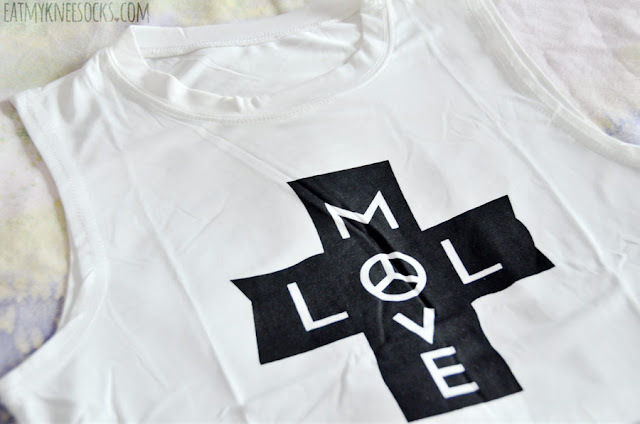 Dresslink Fashion Review: Crop Tops, Blouses, + More! Final exams are right around the corner, and that means summer is too! In celebration of the coming months of freedom and sunshine, I be reviewing five summer-ready items from Dresslink, including a pink lace bralette, off-shoulder printed crop top, faux leather skirt, printed chiffon blouse, and graphic crop top. Details ahead! 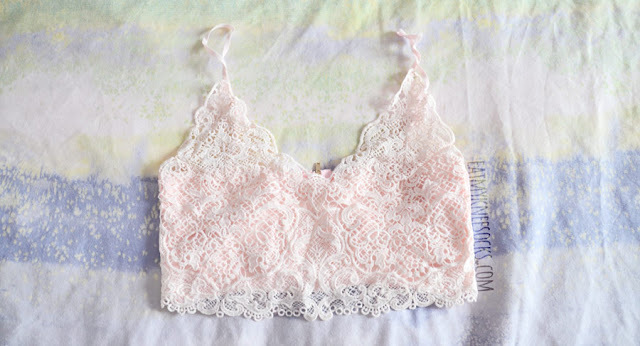 The first item that I got from Dresslink this time around was a pink lace bralette, sold in sizes M-XL and also offered in black and white. This cropped bralette, which costs less than $4, features adjustable straps, a back zipper closure, and a bandeau-like underlayer with crochet overlay. It's very similar to the site photos overall, though the color is slightly lighter. I got the same bralette in black from a different store, which, if I recall correctly, had it priced in the $15-$20 range. Impressively, Dresslink's version is pretty much the same in terms of quality, but a lot more affordable! 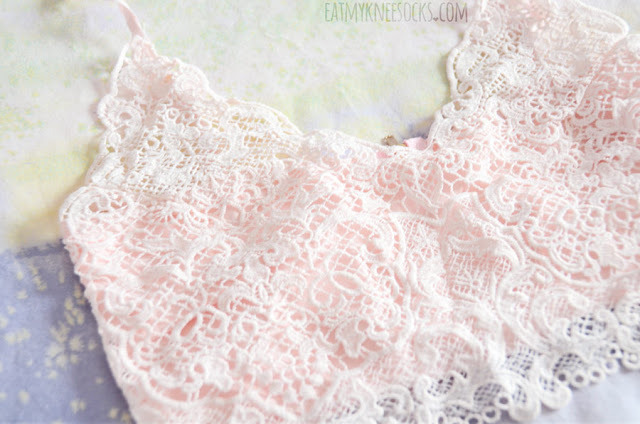 This lace bralette is adorable, and the pastel pink is perfect for spring and summer! My only complaint is with the sizing; the M is a bit too loose on me, and I wish Dresslink carried this style in size S. Also, simply due to the nature of the product and the low-stretch fabric, it's not really form-fitting, and I'd personally prefer if it was constructed from a stretchy cotton material instead. Nonetheless, this top is perfect for warmer months, weather you wear it to the boardwalk or make it one of your festival outfit essentials! 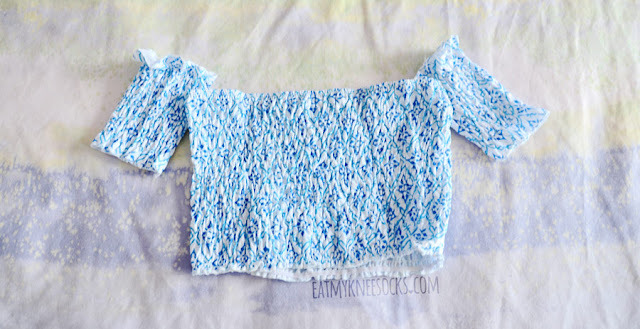 Next up is a blue off-shoulder printed crop top, sold in sizes S-XL for $5.14. This crop top is constructed from a lightweight, stretchy ruched fabric, with a bandeau-style bodice and attached off-shoulder sleeves. The geometric print and off-shoulder design gives it a touch of boho-chic, festival vibes, making it another great piece for summer! While the cut is fairly accurate to Dresslink's photos, the print is pretty different. The model photos feature a much larger and bolder print than the actual product; though I don't particularly mind the difference, it's definitely something to take note of. This top includes stretchy elastic bands at the top and hem to keep it in place, though it tends to bunch up a bit instead of being form-fitting throughout. Although I'm not 100% satisfied with the fit, I love the style and look of it; it's certainly a unique piece and a great addition to any summer wardrobe, and the $5 price makes it too hard to resist. 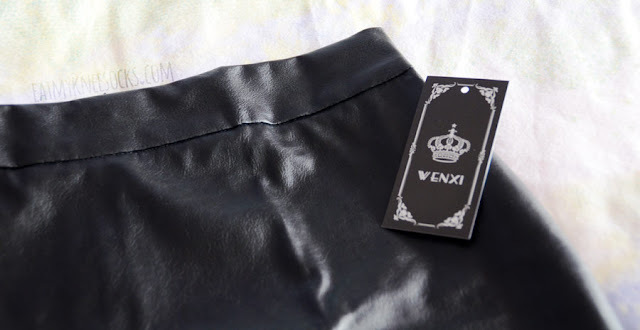 The third item that I got was a black faux leather skirt, sold for $3.79 in sizes S-L. This skirt came with an unattached tag, featuring a curved hem, hidden back zipper, and faux leather fabric. I got it in size S, which is true to the measurements in the product description. This piece is better suited for people with slightly larger hips; I can't really fill it out, so it fits rather loosely on me. I wish it was made of a stretchier, more form-fitting material for a better fit. Sizing aside, the simple and sleek look of this skirt makes it such a versatile piece, while the faux leather material gives it a pinch of edginess. Pair it with a crop top and heels for a party outfit, with a blouse and blazer for a classy ensemble, with a simple tucked-in graphic tee for a casual look, or with an oversized sweater and tights for an autumn/winter outfit—there are tons of outfits you can make with this skirt, and, to top it off, the quality is very impressive for a piece costing less than $4! The fourth piece that I got was a printed chiffon blouse, sold on Dresslink's site for $5.03 and offered in sizes S-XL. This button-down shirt is sold in two prints: one with printed zebra graphics, and the other one (the one that I got) with script-style writing. The base color is a very light, almost-white gray, and the print is black. The blouse fits comfortably, with a loose cut, three-quarter sleeves, and a high-low hem. I love the casual yet unique feel of this shirt, which makes it easy to wear with a simple pair of skinny jeans or a solid colored skirt. The fabric is lightweight and slightly sheer, just as pictured in the model photos. The one issue that I have with it, however, is that the hem is asymmetrical in the front; the right side is cut longer than the left. I can still wear it by tucking it into jeans or a skirt, but this is definitely a flaw that should be addressed. 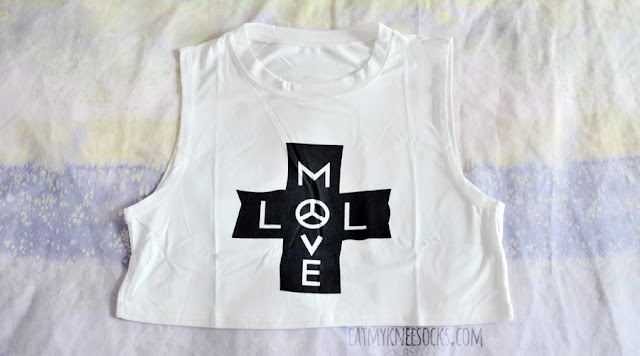 Last but not least is a sleeveless graphic crop top, sold in black and white, one size only. This was the cheapest item of the five, costing just $2.89. It's a cute, casual cropped sleeveless tee with a printed contrast graphic and raw hem. The fabric and fit wasn't exactly what I'd expected; it's made of a smooth polyester blend rather than thicker cotton, and it's shorter and more fitted, not really like the cropped muscle tee in the model photos. The top is definitely pretty different from the one in the modeled pictures, and while I'm still happy with how it looks, I really think Dresslink should update the product description with their own photos so as not to deceive customers. 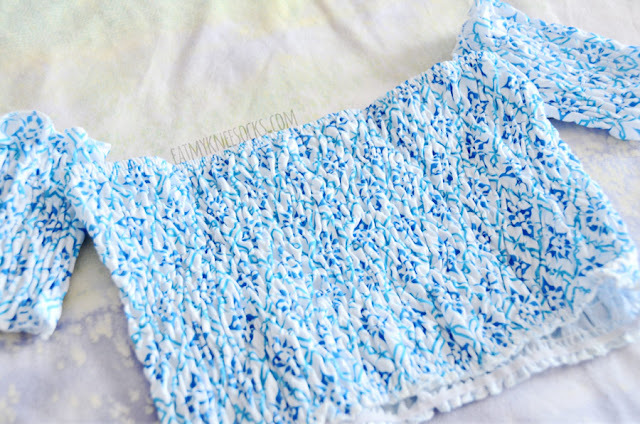 Style-wise, this is another great summery top, perfect with high-waisted shorts for a boardwalk or festival-ready look. It's definitely pretty short, especially in the front, so I wouldn't recommend it for taller or bustier girls. Despite the fabric differences, the polyester blend is very comfortable, and the graphic is pretty accurate to what I expected. All five items that I got this time around from Dresslink added up to less than $27 including shipping. Although this wasn't my most pleasant experience with Dresslink, since items like the buttoned blouse and graphic cropped tee didn't quite meet my expectations, I'd say that Dresslink is really a sort of hit-or-miss treasure hunt, which has its own charm. Items like the pink lace bralette and leather skirt were really good quality for the prices, and there are definitely some hidden gems to be found. They've got so many items at irresistibly low prices, so hopefully my next experience with them turns out better!